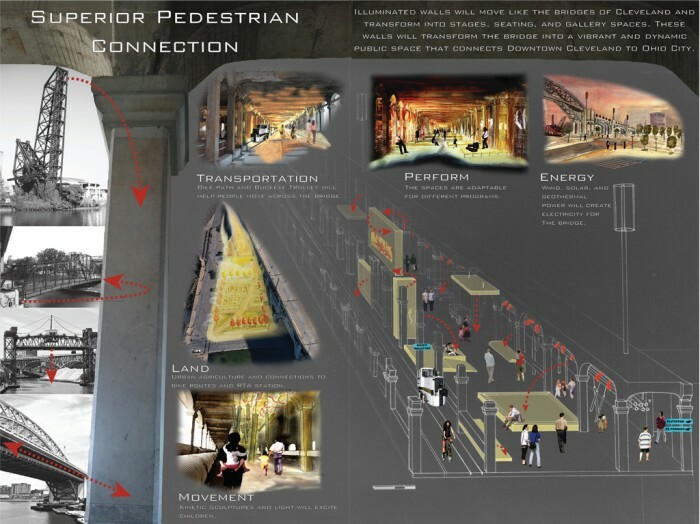 Illuminated walls will move like the bridges of Cleveland and transform into stages, seating, and gallery spaces. 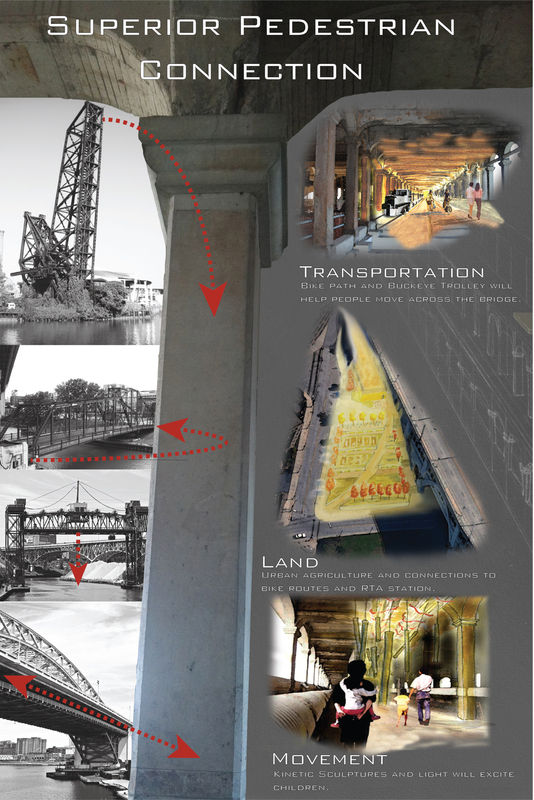 These walls will transform the bridge into a vibrant and dynamic public space that connects Downtown Cleveland to Ohio City. My design will use the existing rhythmic quality of the bridge, which is very fast, is ideal for bicyclists, runners, and daily commuters when the walls are folded up; however, the rhythm will change to such venues as art shows, plays, movies, and concerts. 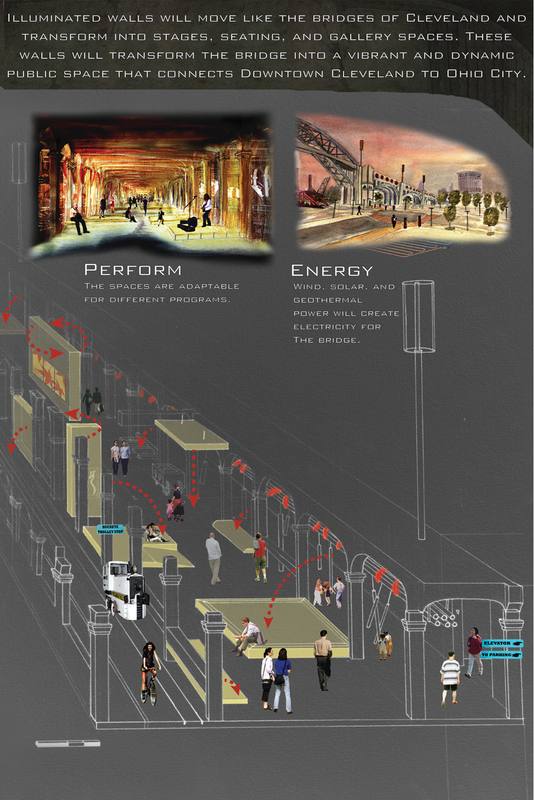 To create this change in rhythm, some walls will move down to create a multi purpose platform for dancing, street performing, and seating. The illuminated walls would be lit by solar, geothermal, and wind power. At night, the walls will glow a multitude of colors. While other lighted platforms from the celling come down, as to not obstruct views, create larger lit up platforms for concerts and seating. The connection will also be strengthened with the Buckeye Trolley and bicycle lanes. This pedestrian connection is vital to the growth of ClevelandÕs social, economic, and sustainable future.